This Farmers Insurance Exchange health insurance company review found a Zurich company that does not offer health insurance to the public. A Los Angeles location was opened in 1928. It is now the third largest personal auto and homeowner’s insurer in the country. Two men who just wanted to offer affordable auto insurance to the L.A. community founded the company. To get health insurance quotes in minutes, just enter your zip code in the search tool provided. The two men, John C. Tyler and Thomas E. Leavy were friends and successful business partners until their deaths. Since then the company has continued to grow, now serving 15 million policyholders by 20,000 employees throughout 41 states. At the helm is current CEO, Robert Woudstra who has been with the company since 2000, when Farmers purchased Foremost, where Woudstra was COO. He earned his Chief Operating Officer position with Farmers in 2007 by taking the company to new heights. As of January 2009, Woudstra was appointed to the CEO position. He is still implementing new strategies to take the company forward to include his 2010 project Farmersfuture. In addition to this group, the company purchased Foremost Insurance Company in 2000 as mentioned. These businesses offer securities and financial products as well as insurance products. Farmers and Foremost owns several other companies as well. These are in addition to the work the company does with their financial portfolio plans. 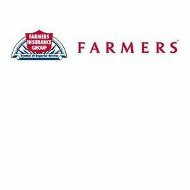 In the form of securities or financial products, Farmers Insurance Exchange offer certificates, and bonds in addition to annuities and IRA‘s. You can also purchase a life insurance policy, disability or long-term care, but no healthcare policy directly. The only healthcare products that the company handles are employee healthcare. This is most of Farmers company benefits except, they also offer what is called EAP, which is Employee Assistance Program that helps with maintaining a healthy balance between work and home. They also offer extensive life insurance products for you and your family. Establishing a career with Farmers entitles you to a host of opportunity and support. They offer tuition reimbursement and internships. You have the chance to work in a corporate environment processing claims as an actuary, adjuster, or administrative services. You could work for the company as an agent, which gives you more flexibility to pursue your entrepreneurial spirit. Marketing, management, accounting, and legal are all very important aspects of the company to pursue. The website offers search tools and an online application. If you have a claim to file with the company, Farmers representatives follow a system to expedite your payout. First, your claim is assigned to a representative who makes the initial contact with you. Depending on your case, you may have an individual or team of professionals involved. Secondly, your claim is evaluated for eligibility of a payout, and estimates are obtained to assess the cost it will take to resolve it. This requires interviewing eyewitnesses and others involved, say in the case of a car accident. Pictures, samples and other information are obtained in essentially a fact-finding mission. After pertinent information and facts are gathered, everything is reviewed and underwritten. The resolution process consists of issuing a check or letter explaining why the payment is not sent. If the claim is closed and significant new information is presented, your case will be reopened. To get health insurance quotes today, simple enter your zip code in the search tool to compare rates of companies in your area.